Friday I went to work and had a very busy day 🙂 Wayne worked for the morning before collecting the girls from K’s following their sleepover – they had a great time but did have to be told to settle down around mid-night! They went home via Woodgreen [not exactly via as they drove past our house to get there], anyway, the girls and Wayne have seen a dog, Mozart, whom they are rather fond of and have made tentative enquiries about him! I agreed that we would go along on Saturday morning to see him. The rest of the afternoon involved more Mathletics and researching dogs on the internet! They also watched Autumnwatch which we had recorded. I arrived home from work and was bombarded with dog related conversation! They are so desperate to get one and we had originally said Spring next year but I have a feeling that it will be sooner than that. Once home, Wayne helped the girls scoop out their pumpkin ready for them to carve and I made a start on making a Christmas present for my lovely friend S. Wayne made Pumpkin and Parsnip soup which we are going to have tomorrow 😀 I made some smoothie ices and cleared up pumpkin inners that had scattered themselves everywhere! Mum and Dad called in for a cuppa 🙂 and the girls watched a movie we had recorded for them, not quite sure what it was. 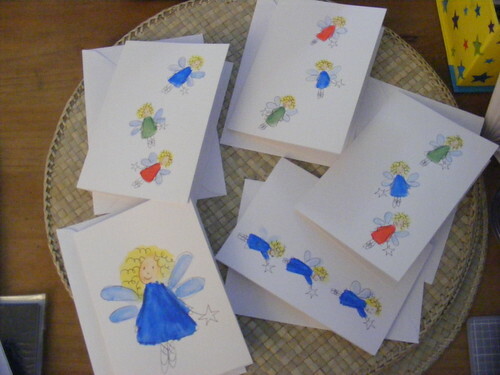 Later the girls and I made a few more Christmas cards before snuggling down to watch ‘Merlin’. I really do need to order Series 1 and 2 at some point. Girls went off to bed, I blogged and Wayne fell asleep on the sofa! Just before lunch I read them the next chapter of Story of the World which we are enjoying very much and has reinforced some of the subjects we have been covering at our historyetc days. 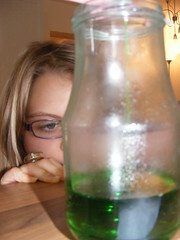 Later in the afternoon we decided to make some crystals – only because we have never made them at home before and think that we really should! More Mathletics, Poppy wrote out my food shopping list for tonight splitting into categories fridge, fruit and veg, cupboard, bathroom and other to make it easier and quicker for me 🙂 They also packed an overnight bag as they are both going to a friends for a sleepover – another step for Pops as this is the first night away in 18 months that hasn’t been with family! 🙂 Fingers crossed it goes well. Time to jump into the car and take the girls to A’s for their sleepover 🙂 After a quick cup of tea and a chat with K, left the girls happily playing. Met Wayne at Tescos to do food shop then home. Watched ‘Changling‘ on dvd which i found rather disturbing but a good film – not one which i would choose to watch again in a hurry though! 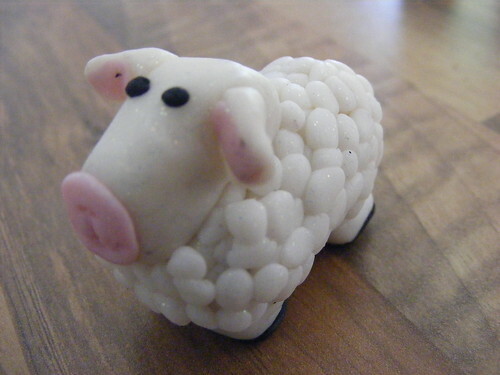 Last year Skye gave my Auntie a little angel she had lovingly made out of fimo. 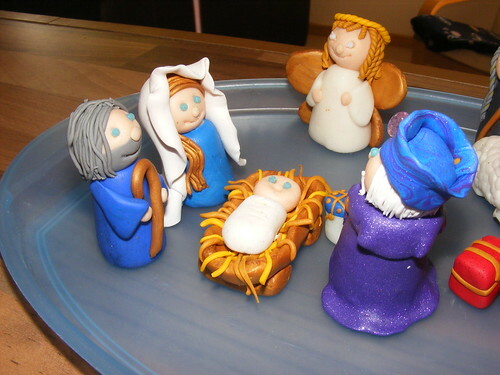 My Auntie was so impressed with her efforts that she immediately placed an order for a full fimo Nativity set for this Christmas which she is going to use as a cake topper for the Christmas Cake she is making for the Children’s Ward at the local hospital. 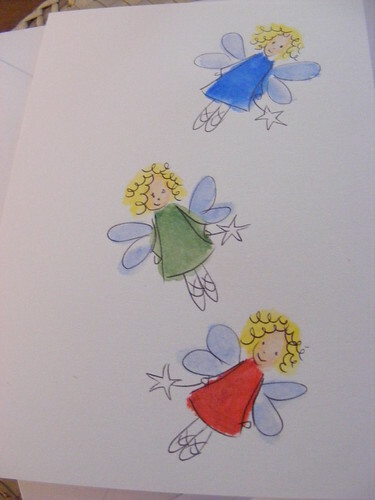 We experimented with a few different styles using watercolour pencils to paint fairies/angels, outlining them in black pen, and have decided to do a mixture of designs based on this theme. This may change the more we do to tackle the tediousness of it all but we’ll see how it goes! 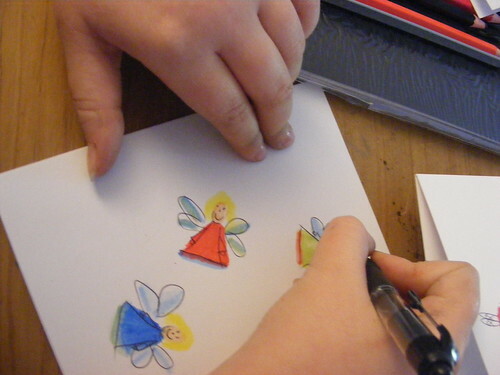 Arranged with Merry to meet up a little later than usual for art etc partly as there was no dancing to rush off to and also to give the girls some time to get something meaningful done in the morning – they had a choice but I did expect maths and some reading. They both instantly chose mathletics and 1 1/2 hrs later i was begging them to come off so we could get moving!!! They were desperately trying to reach their 1000 points – Skye did it 😀 and Poppy managed 873 before we really had to go! I find it hard to believe that Skye really didn’t enjoy maths at all a year ago but now, will more often than not, choose a maths based task over a literacy one! On arrival at Merry’s the girls did a fantastic job [again!] of keeping out of our way but were heavily involved in recreating their own versions of Merlin and Harry Potter complete with outfits! It did give Merry and I chance to have a good chit-chat 🙂 After lunch they continued their game and by around 4pm it was starting to fall apart slightly (not in a bad way but i think they had exhausted themselves and needed a bit of a sit down!!) so I managed to gather them all in the dining room for some Klee inspired art whilst Merry popped off to collect Max. 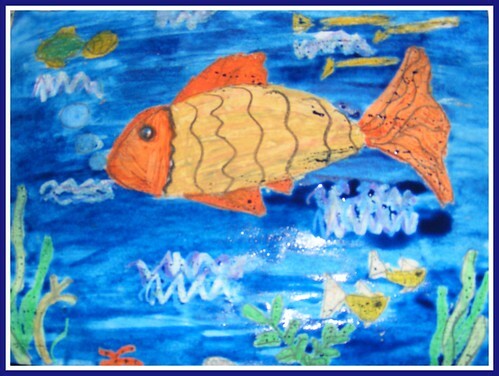 We took inspiration from Paul Klee’s ‘The Golden Fish’ . 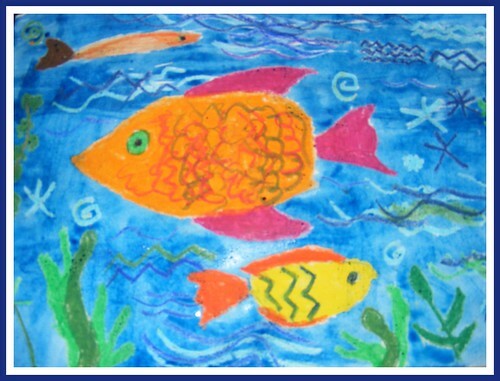 Using oil pastels to draw an underwater scene with some bright coloured fish, we then colour washed the background with blue watercolour. All the girls worked hard on their pieces of art and seem to really enjoy it. After more playing and bunny cuddling we set off home rather later than planned. Threw together some fajitas for tea which were yummy 🙂 watched some tv together then the girls and I snuggled up on Skye’s bed and we read the first chapter of Story of the World, the book that we use alongside our Historyetc days which arrived today 🙂 I have a lot of catching up to do! 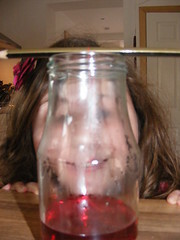 Latinetc, H did another fab experiment making oxygen, explained here and I along with K got the children working on some halloween inspired art activity using oil pastels in the style of Klee. Said our goodbyes and arrived home in the dark! Tea, snuggles and bed. This week was mainly taken up with trips to the cinema as part of National Schools Film Week. watched some tv with Daddy whilst I prepared some notes for our EHEO visit tomorrow. Thursday another big step for Poppy – she spent the whole day at Merry’s without me! Daddy dropped them off on his way to work and I understand they spent the morning doing stuff round the table, mathletics and some CP. They had a lovely time mostly playing with Biscuit, their new little bunny, as well as some dance practice for a forthcoming talent show. Despite one altercation (between S and P!!) the day went well and they thoroughly enjoyed themselves! Thank you Merry 🙂 After tea they watched brainiac History Abuse which they had recorded. Friday I went to work and Daddy and the girls went to the cinema to see The Last Airbender. Apparently Percy Jackson wins hands down on the best film of the week! After the film the had lunch at Pizza Hut and then visited Nanny before going to dance. I popped to Tesco after work and we all arrived home a pretty much the same time. Had a snuggle on the sofa with the girls and watched The Apprentice recorded earlier in the week (i have no idea why, but they enjoy watching it too!). 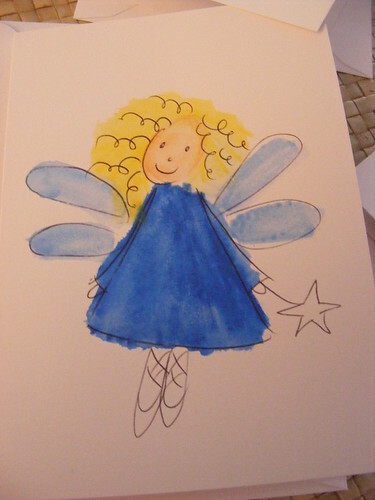 Saturday Realised that with the long list of Christmas craft we have to get through, really need to get on with something. 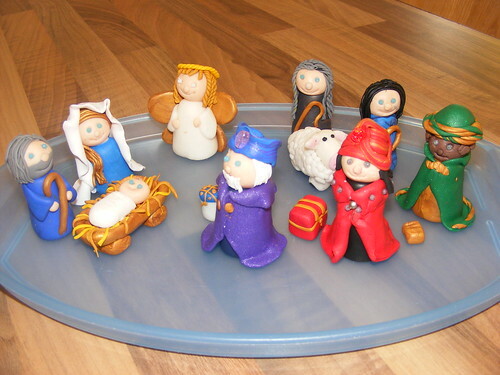 So, today from 10am until 4pm we made a fimo nativity which my Auntie had requested to go onto the Christmas cake she was making for the Children’s Ward at the local hospital. 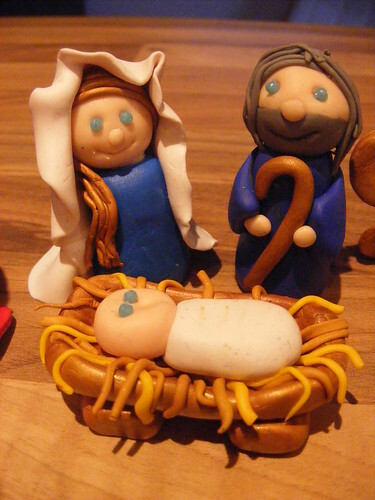 I think I will blog each Christmas craft separately. Other things the girls did today; lots of playing with Violet (the hamster who is the size of a small guinea pig!) 🙂 some ds-ing and crafting. 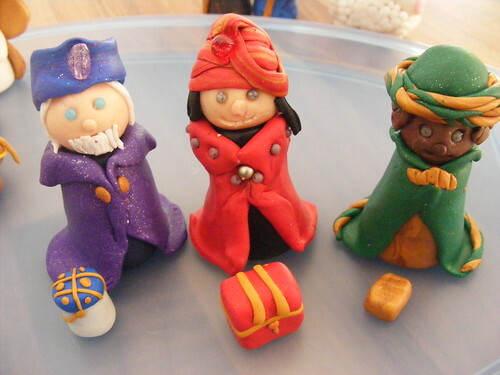 After watching Merlin, they went to bed but were still heard chatting and giggling for ages! !